U.S. President, Donald Trump has announced a multi-million dollar programme of aid and protection for immigrants. But speaking in Washington he repeated his determination to spend 5.7 billion dollars on a border wall. "That is why I'm here today," he said. "To break the logjam and provide congress with a path forward to end the Government shutdown and solve the crisis on the southern border." The government shutdown was caused after Democrats refused to allow funding for the border wall. 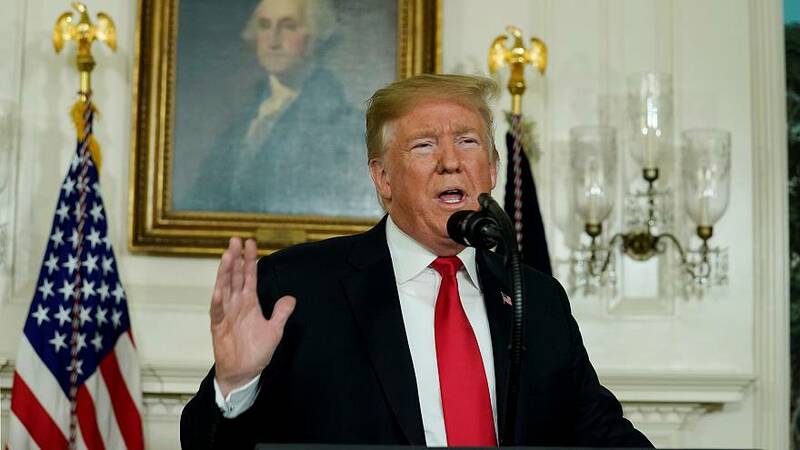 But Trump said he would now offer protection for immigrants with protected status and three years of legislative relief for so-called "dreamer" immigrants, which would protect them from deportation; a move which he hopes will pacify some Democrats. Trump added that the Republican leader of the Senate, Mitch McConnell would now take the plan to the senate floor.